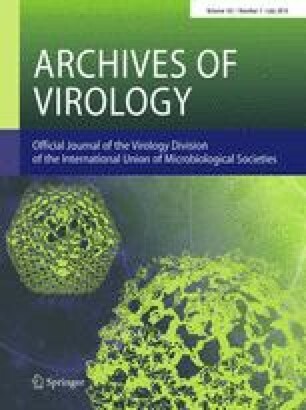 Occult hepatitis C virus infection (OCI) is a new pathological form of chronic hepatitis virus (HCV) infection characterized by the presence of HCV RNA in liver biopsy and/or peripheral blood mononuclear cell (PBMC) specimens and the absence of HCV RNA and anti-HCV antibodies (Abs) in plasma samples. β-thalassemia major is a hereditary recessive blood disease with deficiency in the hemoglobin beta chain. Thalassemic patients need blood transfusion therapy; repeated blood transfusion increases the risk of viral blood-borne infection. The aim of this study was to determine the prevalence of OCI in Iranian patients with β-thalassemia major. From February 2015 to November 2015, a total of 147 Iranian patients with β-thalassemia major were enrolled in this cross-sectional study. After extraction of viral RNA from the plasma and PBMC samples, HCV genomic RNA in the specimens was amplified by RT-nested PCR using primers from the 5′-UTR. The HCV genotypes of the positive specimens were tested using the RFLP assay. To confirm the HCV genotypes, the 5′-UTR fragment was amplified and cloned into the pJET1.2/blunt cloning vector and then sequenced. Out of 147 patients, 106 (72.1 %) were negative for anti-HCV Abs and HCV RNA. HCV RNA was found in PBMC specimens of six (5.7 %) patients, from a total of 106 patients with undetectable plasma HCV RNA and anti-HCV Abs. Therefore, six out of 106 patients had OCI. HCV genotyping revealed that three patients were infected with HCV subtype 1b, two patients were infected with HCV subtype 3a, and one patient was infected with HCV subtype 1a. These results revealed that Iranian patients with beta-thalassemia major might have OCI. Therefore, it seems that the design of a study to identify this infection in patients with β-thalassemia major would provide valuable information. The online version of this article (doi: 10.1007/s00705-016-2862-3) contains supplementary material, which is available to authorized users. The current study was funded by Research Deputy of Iran University of Medical Sciences, grant number 25379. The authors declare no conflict(s) of interest.